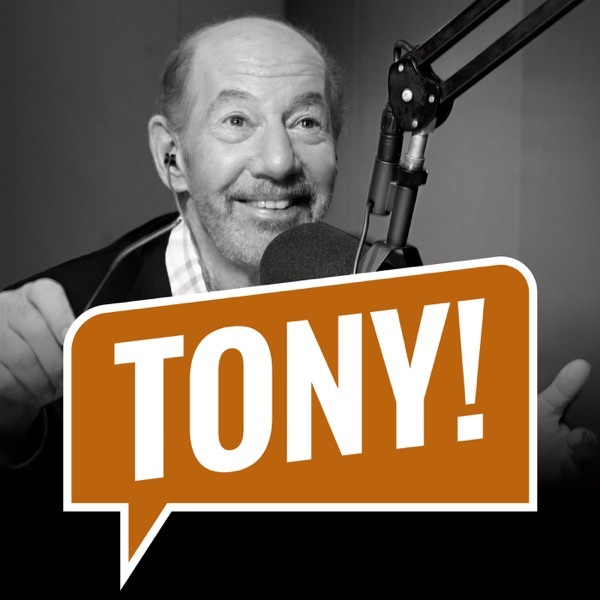 Discover The Tony Kornheiser Show "Moving to Boca??" Tony opens the show by talking to Jeanne about slowing down his schedule a little bit, and they also chat about Bryce Harper. Pat Forde of Yahoo Sports calls in to talk some college basketball, Nigel gives the news, during Old Guy radio, Tony talks to Jeanne to get her thoughts on the Bob Kraft scandal, and he also talks to the gang about the upcoming Michael Cohen Congressional testimony, and they close out the show by opening up the Mailbag. Songs : Ghoul School 'Chinese Food" ; Misha Ben David "Wake Me Up In Time"
Tony opens the show by talking about the NBA playoffs (and the debate between him and Wilbon about the NBA vs. the NFL). ESPN's Tim Kurkjian calls in to talk some baseball and Nigel gives the news. During Old Guy Radio, Tony talks about a great dinner he went to the night before, and they close out the show by up the Mailbag. Songs : Let's Not "Nothing Else" ; Ghoul School 'Dog Song"
Tony opens the show by talking about the NHL playoffs, and how the Penguins and Lightning were swept in the first round. Chelsea Janes of the Washington Post calls in to talk about moving from covering the Washington Nationals to covering the 2020 Presidential election, Nigel gives the news, during Old Guy Radio Tony talks to Barry about the Masters, and they close out the show by opening up the Mailbag.Songs : Old Fuss and Feathers "Whiskey Riverbend" ; Don Stewart "New Hope"
Tony opens the show by talking about the NBA playoffs and the Clippers' huge comeback win against the Warriors. Neil Greenberg of the Washington Post calls in to talk about the NHL playoffs, and the Caps loss to the Hurricanes in game 3 of their series. Nigel gives the news, during Old Guy Radio, Tony talks about the fire that ravaged Notre Dame in Paris, and they close out the show by opening up the Mailbag.Songs : Steve Lipton "Just The Same" ; Dan Bern "42"
"Easter Island and the Daily Grill"
Tony opens the show by talking about Tiger Woods win at the Masters. Michael Wilbon calls in to talk about that some more as well as a little NBA, and Nigel gives the news. During Old Guy Radio, Steve Sands of the Golf Channel calls in to give his thoughts on Tiger's win, and they close out the show by opening up the Mailbag. Songs : Chillent "Catch Me If I Fall" ; Dan Silva "Let Me Be The One"
Tony opens the show by talking about some more computer issues that Nigel is dealing with, and also about Dwayne Wade's final game. Washington Post columnist Barry Svrluga calls in from Augusta to give his thoughts on the Masters, and Nigel gives the news. During Old Guy Radio, Tony tries to understand what a Black Hole is, and he talks about the passing of Charles Van Doren and the movie "Quiz Show" which told his story. Lastly, they close out the show by opening up the Mailbag. Songs : Let's Not "Pilot Light" ; Brett Wiscons "Tip Me In Tequila"
Tony opens the show by talking about Magic Johnson's abrupt resignation from the Lakers. Steve Sands of the Golf Channel calls in to preview The Masters, Nigel gives the news, during Old Guy Radio, Jason La Canfora of CBS Sports calls in to give his thoughts on Chris Davis's historic struggles at the plate, and they close out the show by opening up the Mailbag.Songs : The Reserves "Cover Me" ; "Find The Light"
"The Heat and the Hallmark Channel"
Tony opens the show by talking about UVA's win over Texas Tech to claim their first National Championship. Former Division 1 Coach Jimmy Patsos calls in to give his thoughts on the game, Nigel gives the news and during Old Guy Radio, Tony talks about Chris Davis's historic struggles at the plate and about the decline of UCLA and the PAC 12. They close the show out by opening up the Mailbag.Songs : Brandon S Bowker "The Country Swells" ; Dammit Lauren and The Well "The Well"
"The Bob Ryan phone strikes again"
Tony opens the show by talking about the standings in the TK Celebrity Bracket Pool (congrats to Greg Garcia for winning this year), and he also talks about Baylor winning the women's tournament. Michael Wilbon calls in to talk about the Final Four, and Nigel gives the news. During Old Guy Radio, Tony talks about the golf he played over the weekend, some thoughts on the state of the Presidential Race, and a bizarre break in at a day care center. Lastly, they close the show out by opening up the Mailbag. Songs : Bullyheart "Jukebox" ; Eric French "What's Wrong"
Tony opens the show by talking about the Nats win over the Mets, and also about Steph Curry's shooting prowess. Pat Forde of Yahoo Sports calls in to give his thoughts on the Final Four, Nigel gives the news, during Old Guy Radio, Tony talks about the controversies surrounding Joe Biden and whether he'll be able to run for President, and they close out the show by opening up the Mailbag.Songs : Money For Guns "Hawks" ; Kevin Johnson and Nick Bowen "Better Than You"
"I was blind, but now I see"
Tony opens the show by talking about a phone call he had with Scott Van Pelt about the Emmy nominations, and then discusses a little baseball. Richard Justice of MLB.com calls in to talk some more baseball, and Nigel gives the news. During Old Guy Radio, Greg Garcia (who's leading the celebrity bracket contest) calls in with some side bets he wants to make with Wilbon, and Tony also talks to Kevin and Gary about the vacant GM position with the Wizards. Lastly, they close out the show by opening up the Mailbag. Songs : Misdirect Whispers "Tropical Thunder" ; The Dropkick Murphy's "I'm Shipping Up to Boston"
"It didn't work on Billy, but what are you gonna do?" Tony opens the show by talking about Bryce Harper's return to Washington. Washington Post columnist Barry Svrluga calls in to discuss that some more, as well as some thoughts on the state of the Nats after their slow start, and Nigel gives the news. During Old Guy Radio, Tony talks about the Wizards firing GM Ernie Grunfeld, and they close out the show by opening up the Mailbag. Songs : Matthew Shell "Infinite Love" ; The Sloppy Boys "I'm One Helluva Dude"
Tony opens the show by talking about the April Fool's story they did on PTI about Zion Williamson staying at Duke another year, but how it now actually seems entirely plausible. ESPN"s Brian Windhorst calls in to talk some NBA, and also discusses his new book "The making of a billion dollar athlete : LeBron Inc", and Nigel gives the news. During Old Guy Radio, Tony talks about the stories coming out about Bryce Harper's negotiations with the Nats and how it all played out with him eventually going to the Phillies, and they close out the show by opening up the Mailbag. Songs : Kevin Taylor "Getaway" ; Don't Stop Or I'll Die "That's Right, I'm Five"
Tony opens the show by talking about the NCAA Tournament games from over the weekend, and Michael Wilbon calls in to talk about that as well. Nigel gives the news, and during Old Guy Radio Tony talks about the state of his lawn and a problem he had over the weekend with his condiments. Lastly, they close out the show by opening up the Mailbag. Songs : Pat Paxton "Poultry Showdown" ; We Are Warm "Here For"
Tony opens the show by talking about the signs that Spring is here, about a shipment of goat meat that arrived for him, and about the late tip for the Duke game here in DC. Pat Forde of Yahoo Sports calls in to preview the Sweet Sixteen (and talk a little swimming! ), and Nigel gives the news. During Old Guy Radio, Tony talks about Jussie Smollett, and also about the insanity of budget cuts to the Special Olympics, and they close out the show by opening up the Mailbag. Songs : Don't Stop Or We'll Die "Once In A While" ; Dan Bern "Opening Day"
Tony opens the show by talking about Jussie Smollett having all 16 felony charges against him dropped. Richard Justice of MLB.com calls in to give his thoughts on the start of the baseball season and Nigel gives the news. During Old Guy Radio, Tony talks about how cold this spring has been in DC, also about the new rule in the NFL that will allow for review on pass interference calls, and they close out the show by opening up the Mailbag.Songs : KjNGames "Desert" ; Matthew Shell "Actualization Celebration"
Tony opens the show by talking about a couple of high profile retirements. Jay Bilas calls in to talk about the Tournament so far and share some memories of his time at Duke with Johnny Dawkins, and Nigel gives the news. During Old Guy Radio, Tony talks about the troubles of Michael Avenatti and also about the Eisenhower Tree at Augusta, and they close out the show by opening up the Mailbag.Songs : Shambhu "Lilac Skies" ; Jenny and Tyler "This is just so Beautiful"
"Nobody dies, that's a good week"
Tony opens the show by talking about the NCAA Tournament, and in particular, Duke's win over UCF. Michael Wilbon calls in to talk some more college hoops, as well his trip to Augusta with Tony over the weekend, and Nigel gives the news. During Old Guy Radio, Tony talks about his trip to Augusta and gets some thoughts from Chris on the Mueller report, and they close the show out by opening up the Mailbag. Songs : Jesse Marcus : "Make Believe" ; "Hot Tamale"
"The last days of the flying shirt"
Tony opens the show by talking about baseball starting it's season early and overseas, and also about the career of Ichiro. Meet The Press Host Chuck Todd calls in with his brackets, Nigel gives the news, during Old Guy Radio, Spike Braun calls in with his NCAA picks, and they close out the show by opening up the Mailbag. Songs : Crooked Coast "People Say" ; Hot Pink Hangover "Baby Girl"
Tony opens the show by talking about the new contract for Mike Trout and whether it's good for baseball. Washington Post columnist Barry Svrluga calls in to give his NCAA picks and Nigel gives the news. During Old Guy Radio, Steve Sands of the Golf Channel calls in to share his NCAA bracket, and they close out the show by opening up the Mailbag.Songs : Virginia Coalition "Lately" ; Young Folks "TBD"
Tony opens the show by talking about the perils of automation at McDonald's. Pat Forde of Yahoo Sports calls in with his bracket picks and Nigel gives the news. During Old Guy Radio, Kevin Sheehan calls in with his NCAA bracket, and they close out the show by opening up the Mailbag. Songs : The Jaunt "Kate" ; Nick Bowen with Kevin Johnson "Eternal Crush"